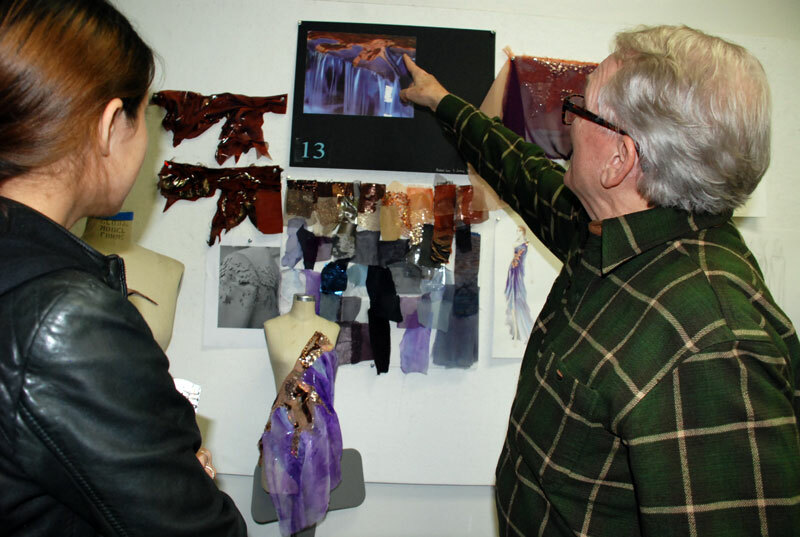 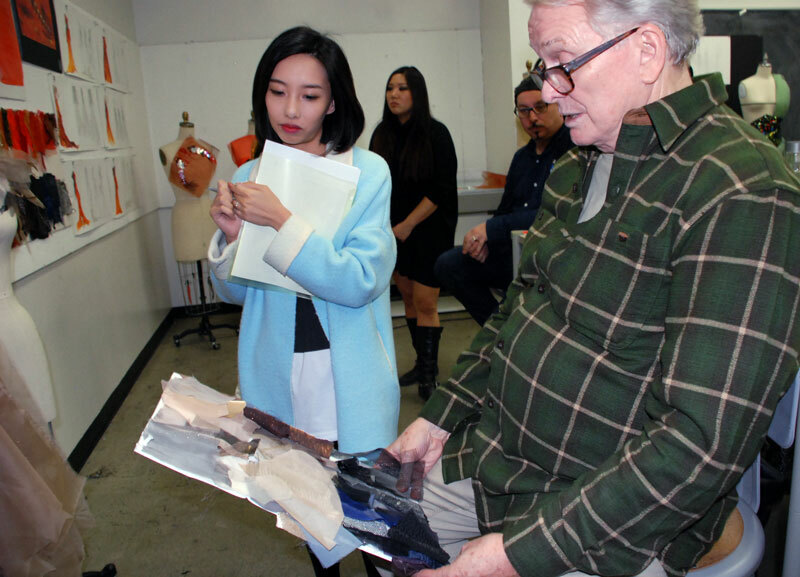 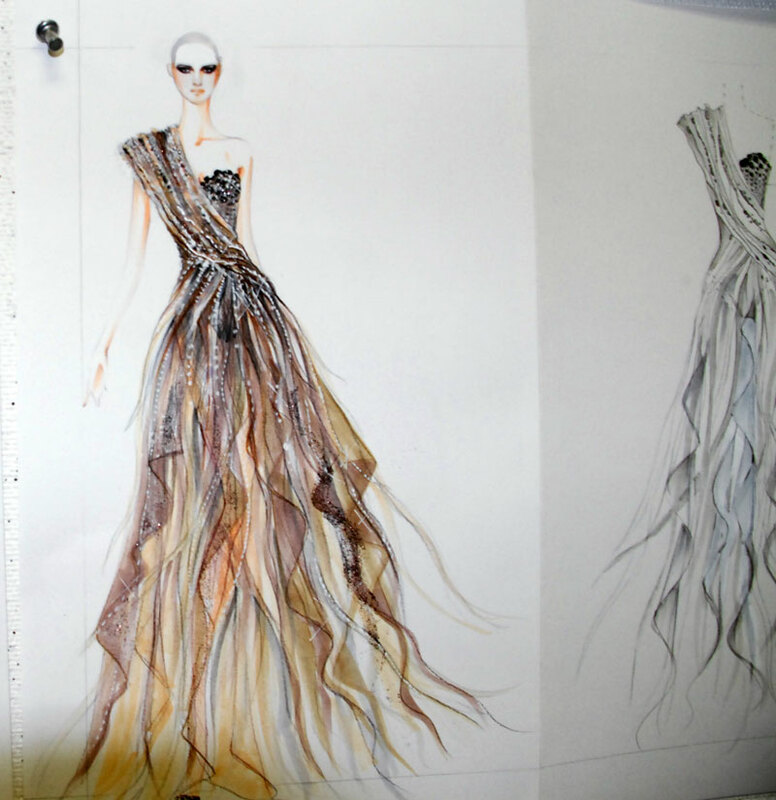 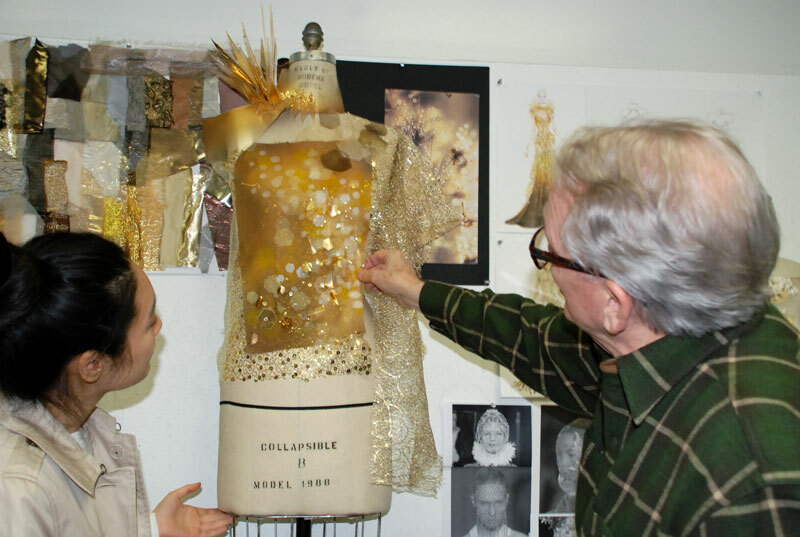 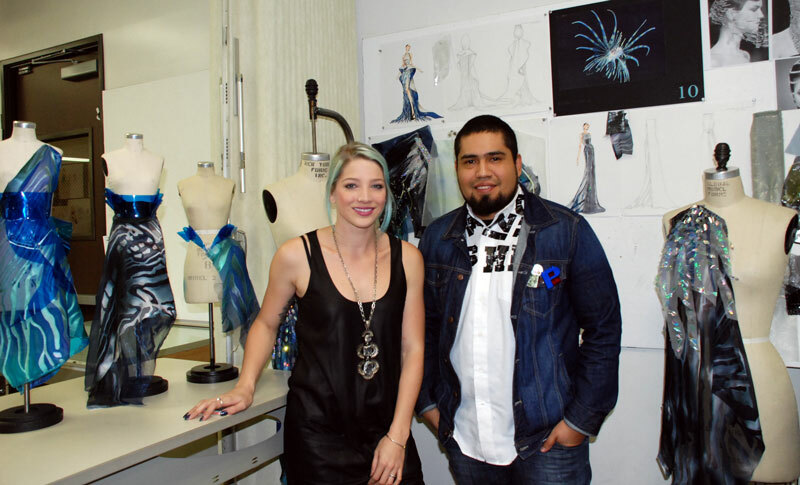 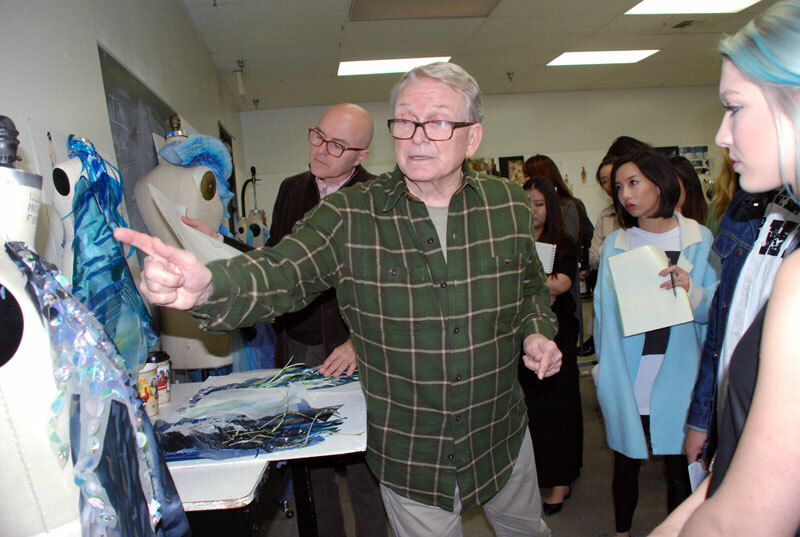 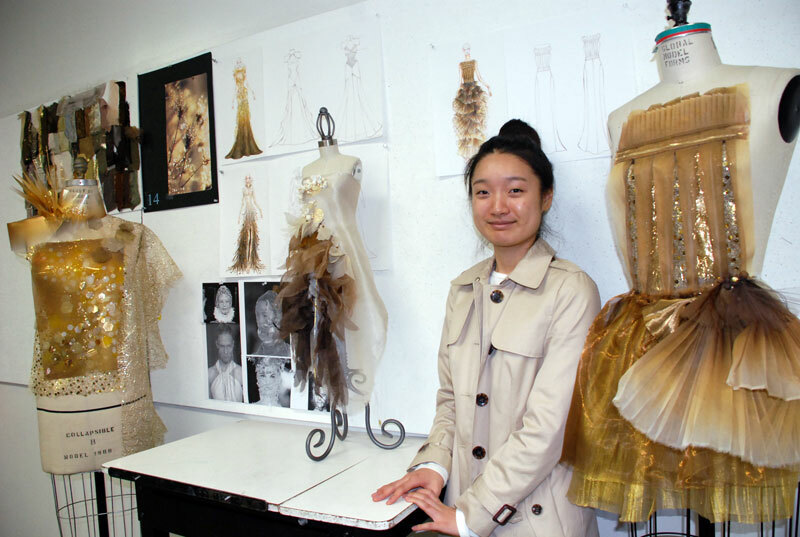 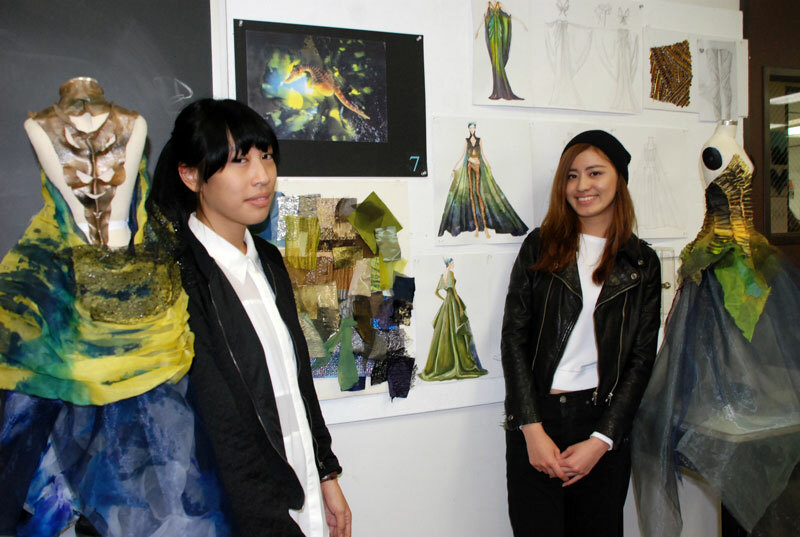 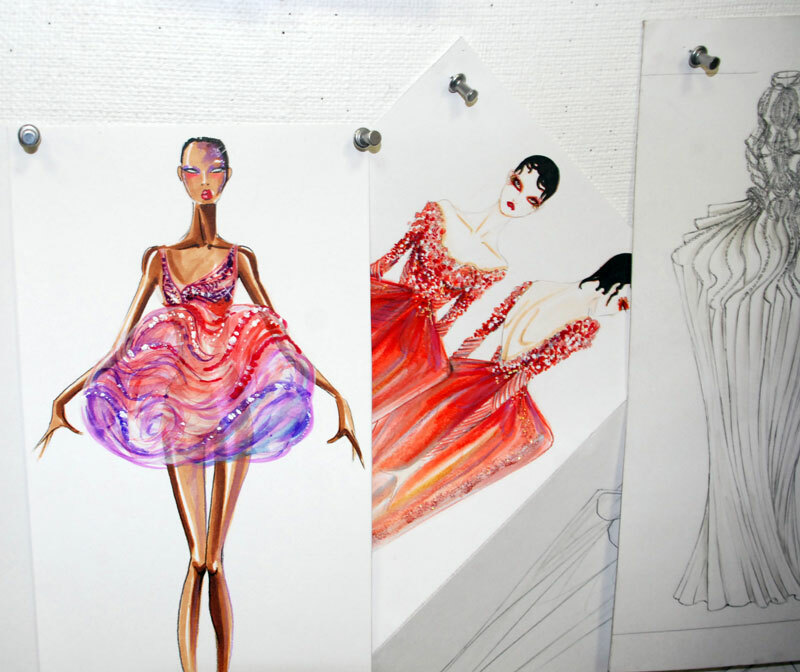 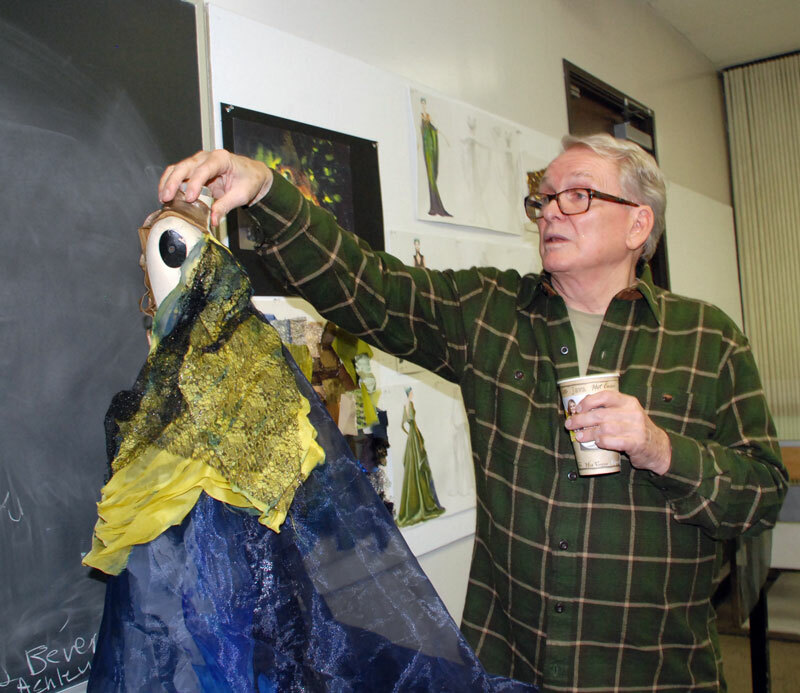 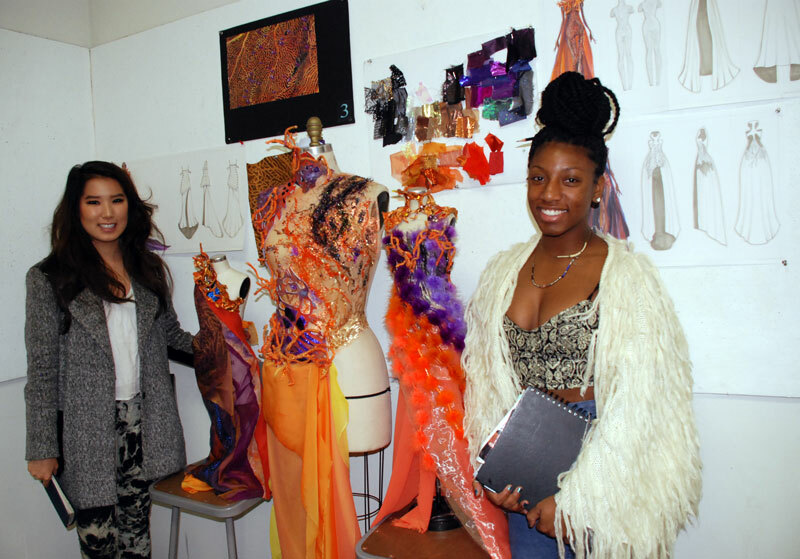 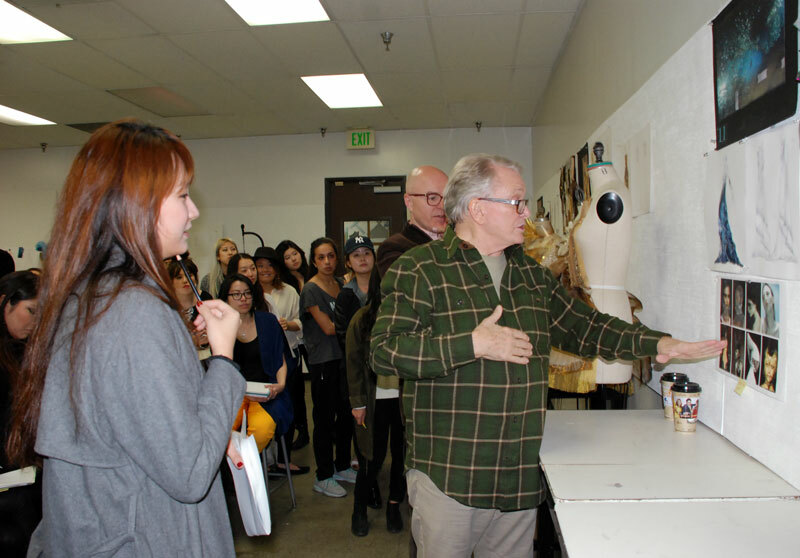 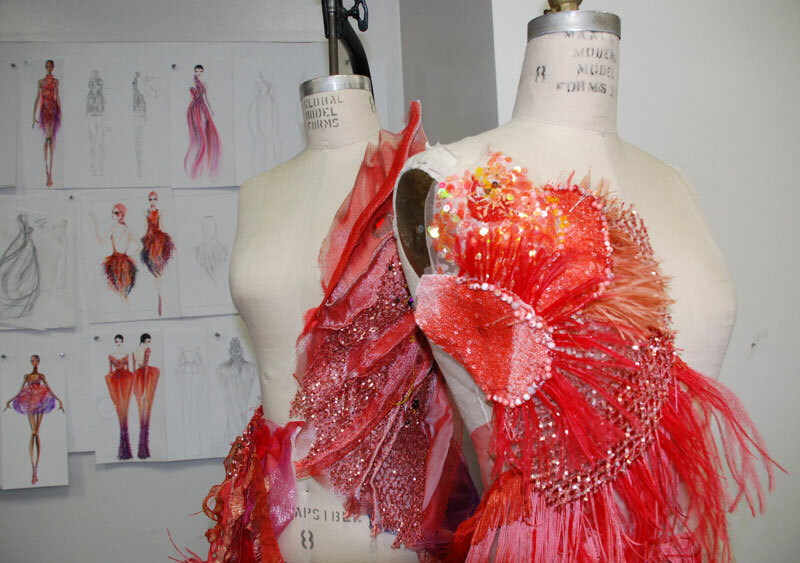 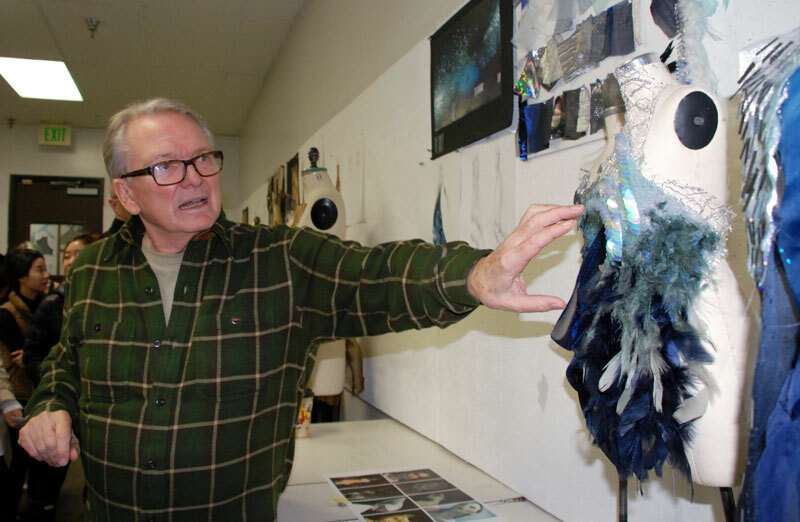 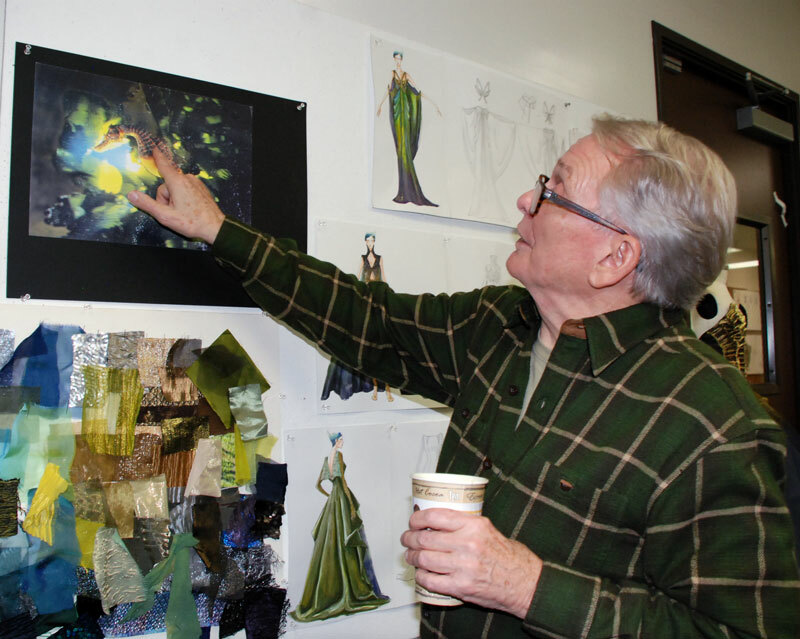 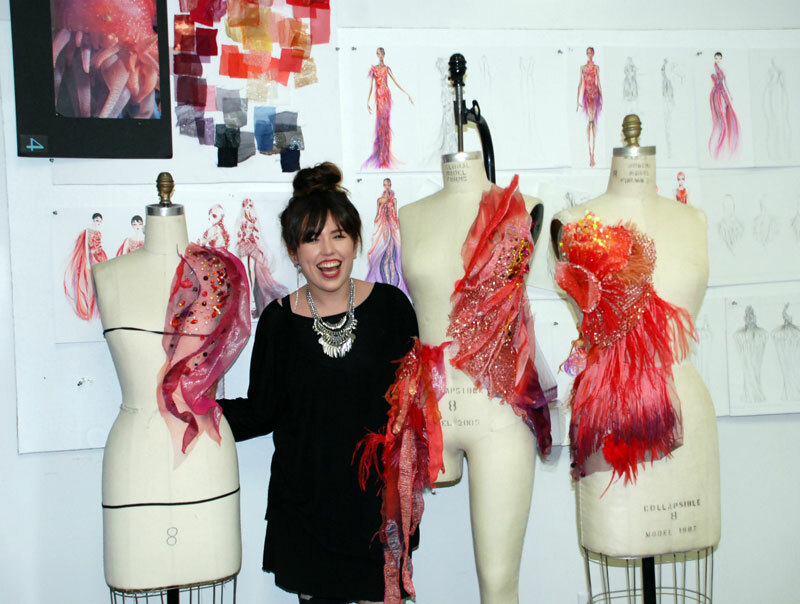 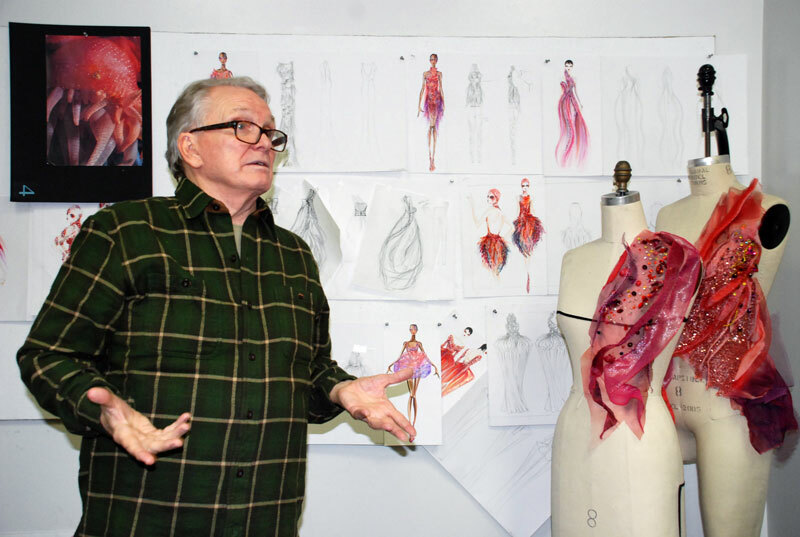 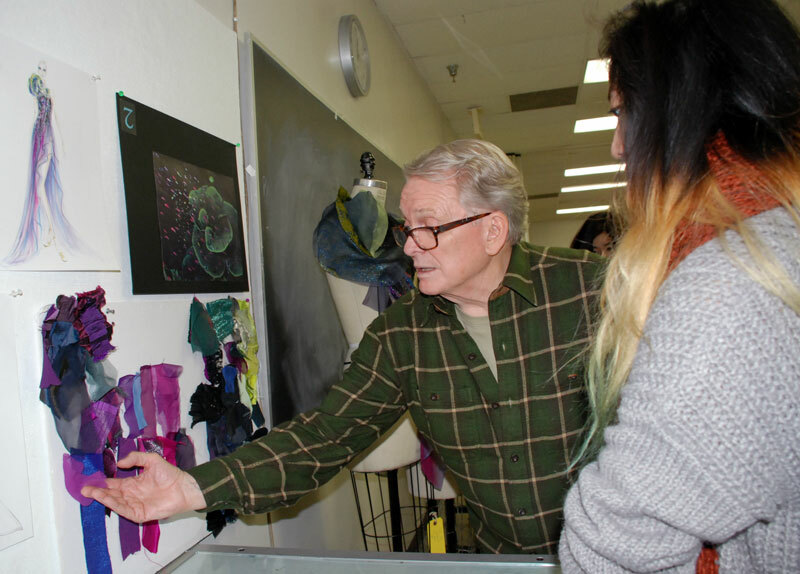 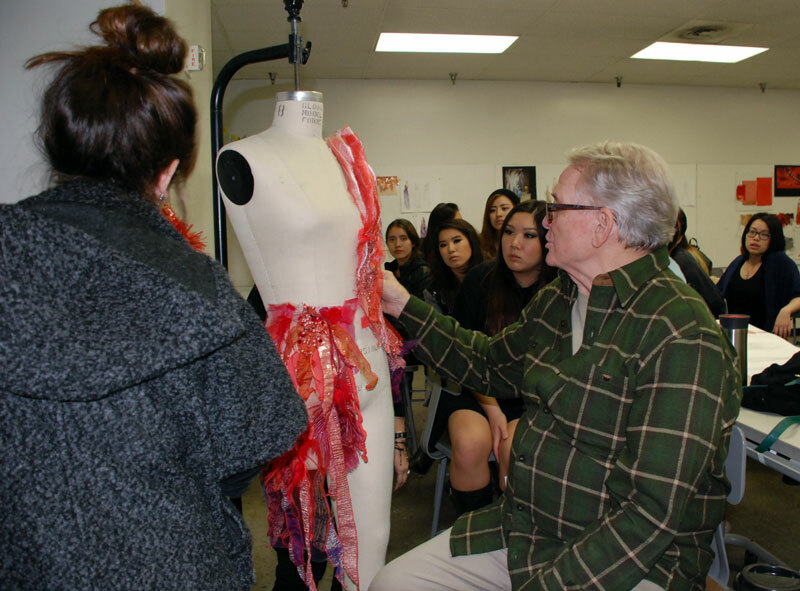 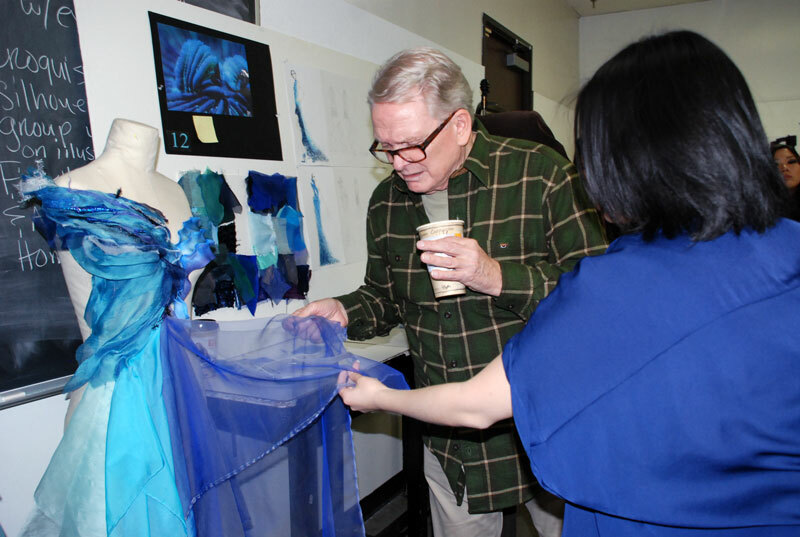 This week renowned designer Bob Mackie visited the senior fashion class for a critique of their designs so far. 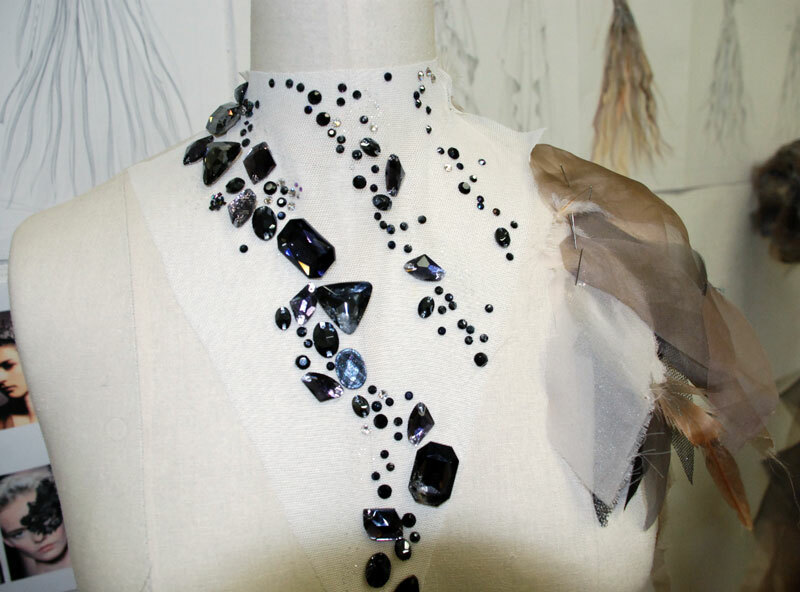 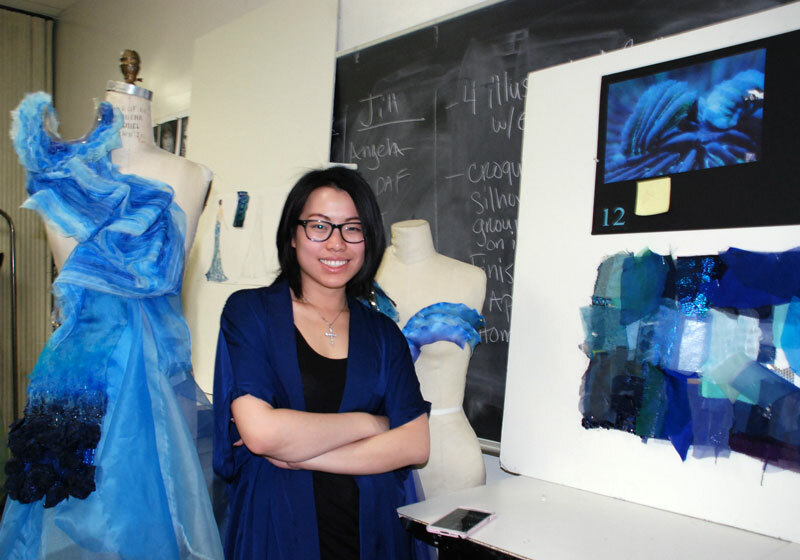 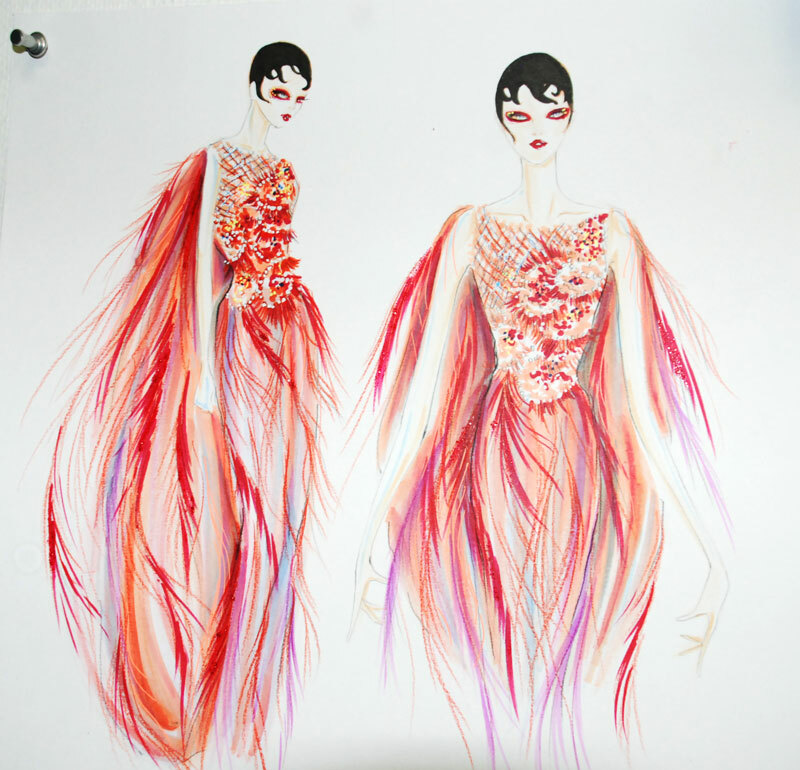 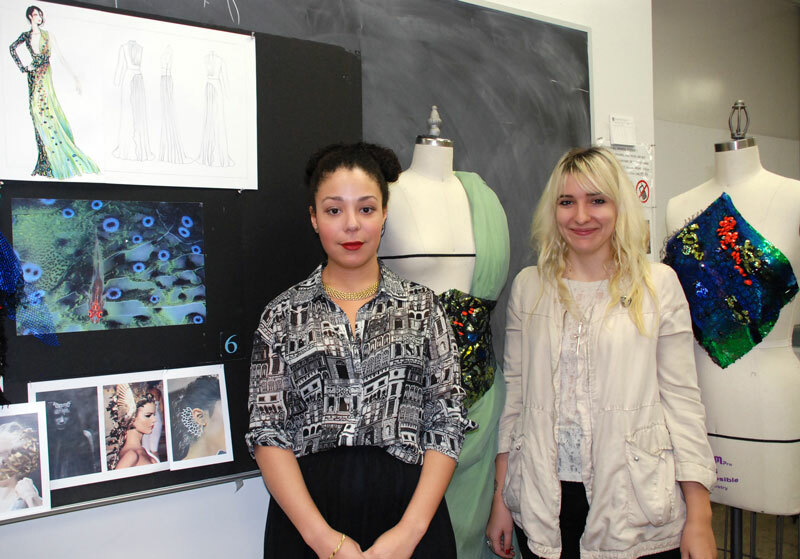 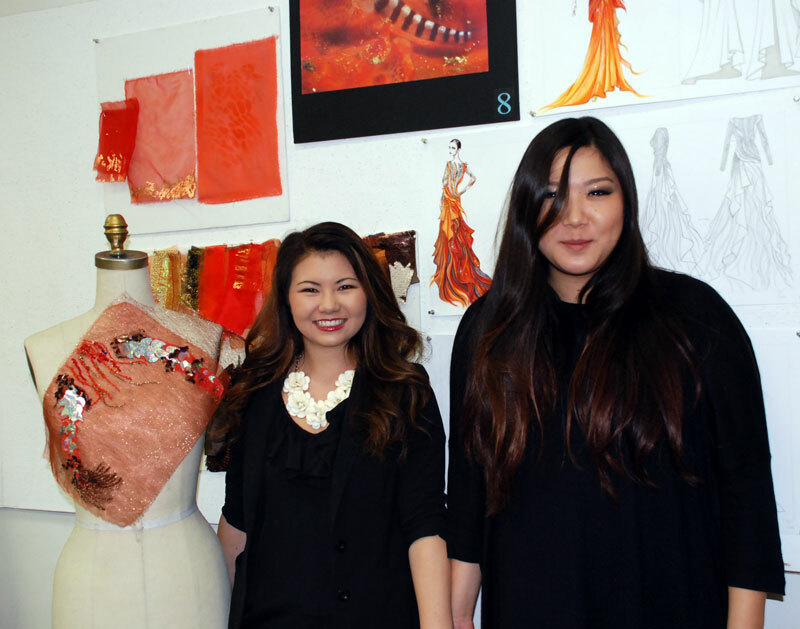 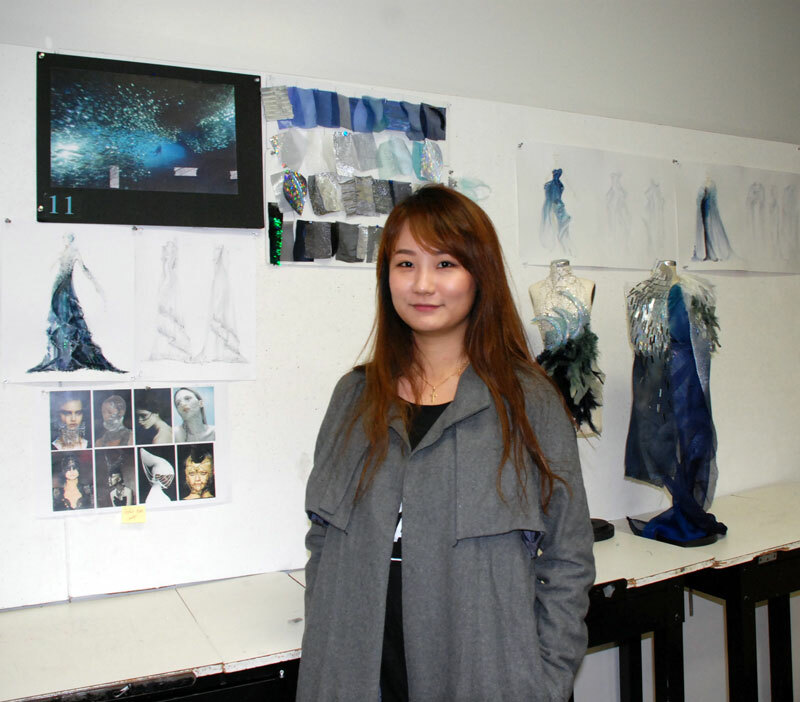 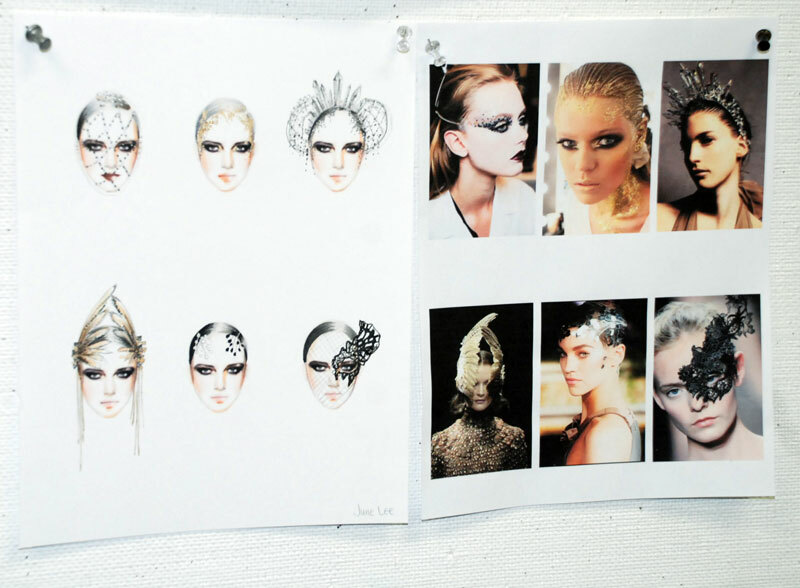 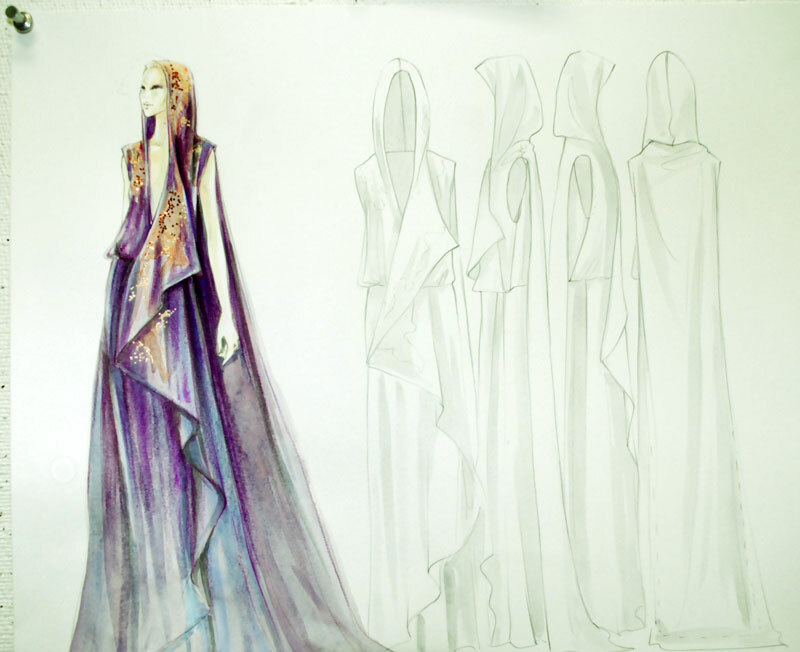 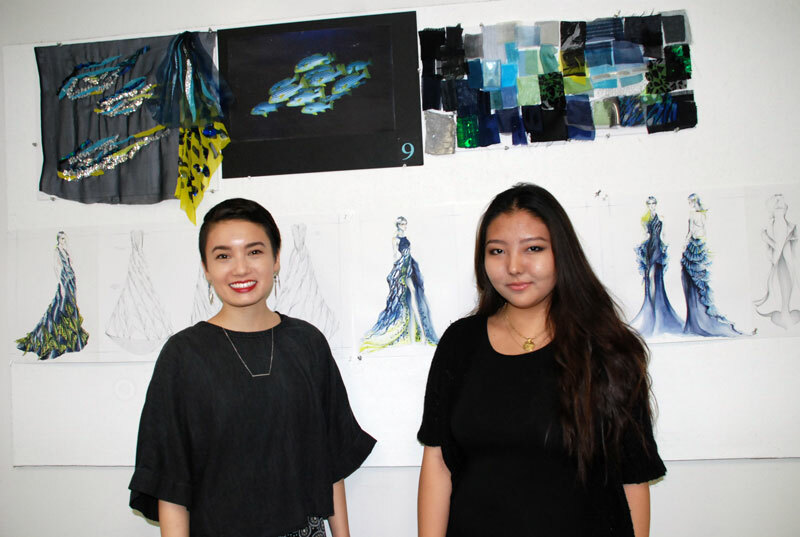 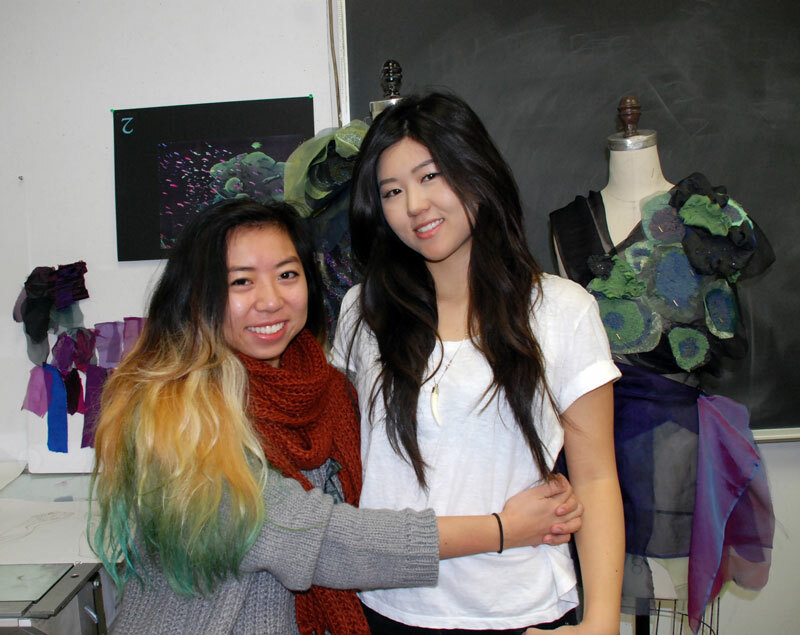 Earlier in the semester, Mackie issued a direction for students to create “swoon-worthy” evening looks inspired by underwater sea life and landscapes. 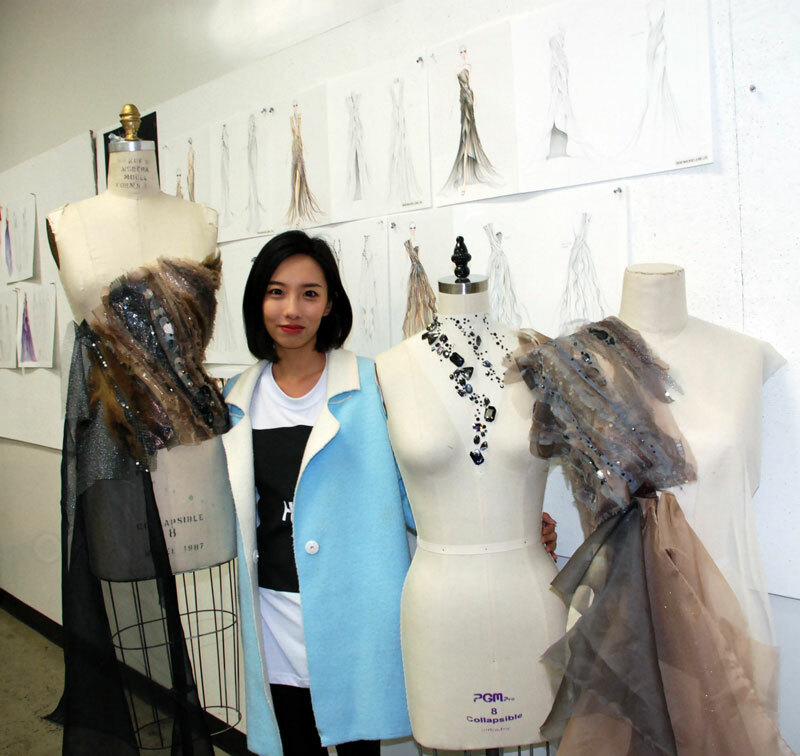 Some students got especially creative, utilizing 3-D printing techniques, thermal plastic, and fiber optic lighting.